Making sushi at home is surprisingly simple and easy! These easy-to-follow recipes come from two of the leading Western experts, who explain everything there is to know about sushi and knives. Sushi isn't tricky to make so long as you have the right utensils and instructions, and have the patience to get acquainted with the various techniques. All it takes is some practice and in no time at all, you'll be making sumptuous sushi that will wow family and friends. 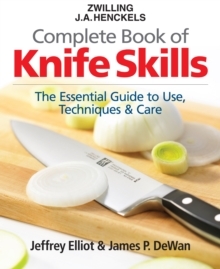 This incredible book provides all the information needed to get started - from ingredients and knives, to equipment, fish butchery and plating techniques, making perfect rice and so much more. 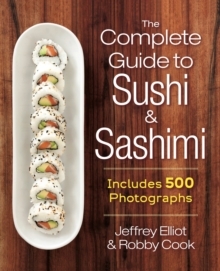 With full colour throughout, lots of recipes, a very user-friendly concealed wiro-bound hardback binding, 500 step-by-step photos and hundreds of tips and techniques, this sushi book is sure to become the essential guide for sushi and sashimi lovers, novice and experienced alike. You'll learn about how vitally important knives are along with the differences between Japanese and Western equivalents and substitutes. Ingredients certainly take centre stage and here Robby Cook shares his extensive experience whether he's sharing his expertise about Fluke (Hirame), Octopus (Tako) or Red Snapper (Tai). Sushi, maki, sashimi, nigiri, oshizushi - it's all here. From the California and Dragon Rolls we're all familiar with, to tantalising clam and sea urchin recipes.